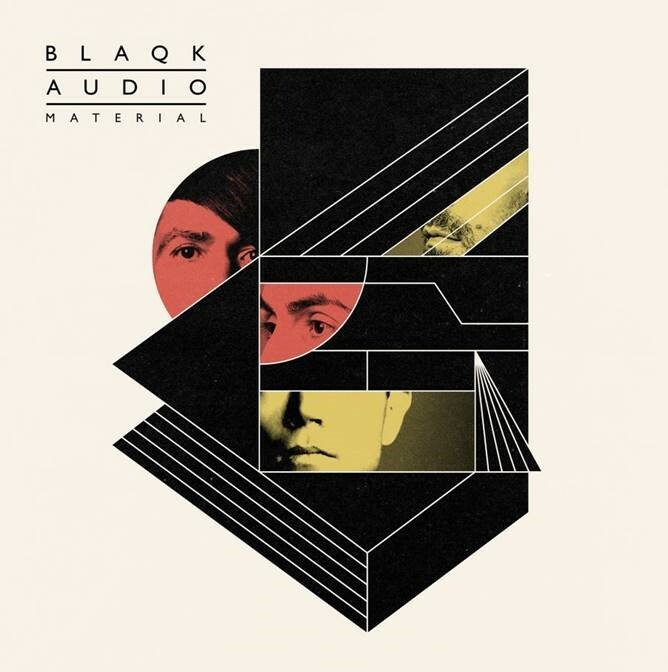 Blaqk Audio, Davey Havok and Hade Puget‘s electronic alter ego, have announced the third release following 2012’s Bright Black Heaven and 2007’s Cexcells, named Material (Blaqknoise/Kobalt), on April 15th. “Considering this is Blaqk Audio’s third record over the course of its 15-year existence, it’s always an exciting and rare opportunity to release a new batch of songs,” says Puget. “Each new release finds us in a very different place, creatively, than the last,” adds Puget. “Influences are different, musical interests have slightly or vastly shifted. As a writer, I’ve moved fully onto [software music sequencer] Ableton Live since the last album, which changes my workflow and writing style.” Puget shared his bandmate’s long-standing love of electronic music, beginning with a passion for Daft Punk, Depeche Mode, Ministry, Squarepusher, Nitzer Ebb, and Front 242, spending a great deal of time programming electronic music, which in turn led to a plan to start an entirely electronic side project: no organic instruments, just synths, keyboards, drum machines, and software.